Warnings: I’ll get back to you on that one. 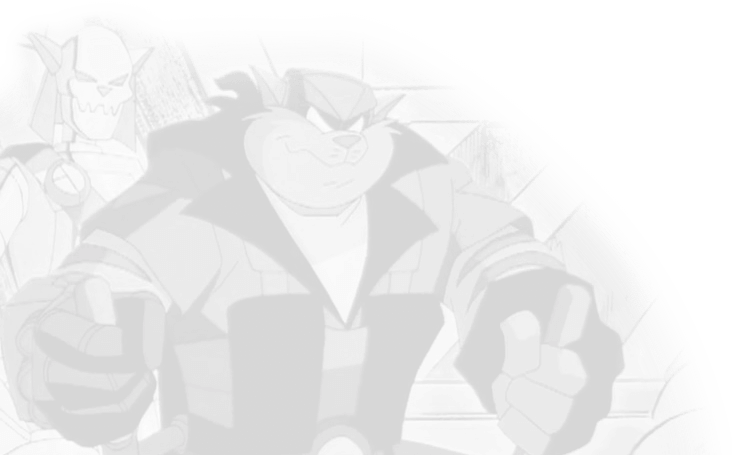 The Pastmaster sat in the Telecommunications office, pondering just where the SWAT Kats were. It had been days since he’d carried out his threat, and not even the Enforcers had bothered to show up. He sighed….and then realized that he had forgotten just what his big threatening plan was. “Darn my short term memory,” he said aloud. He got up from his chair and began to wander around the facility, and then abruptly and rather inexplicably he found himself in a TV studio being shoved up onto a stage. There was an audience cheering and an obnoxiously loud host speaking out. The Pastmaster blinked as he saw Dark Kat and Dr. Viper at their respective podiums, with himself being shoved in front of another. “What infernal spell *is* this? !” He demanded. “What’re YOU TWO doing here? !” he added, directing his attention towards the other two villains. The crowds all boo’d and threw miscellaneous items at the evil kat. Dark Kat seemed to revel in it as he reached into his cloak and pulled out a remote with a button on it. The crowds all gasped and quickly shut up. “They get the idea!” Viper shouted. “If he says what I think he’s going to say…,” the Pastmaster said under his breath. “I hate mortals… immensely,” murmured the Pastmaster. “Darnit Jim! I’m a doctor not a game show contestant!” Dr. Viper cut in. “Marsha!” shouted the host, revealing a muscled she-kat standing about four feet above the other villains. “She looks like a female version of you,” Dr. Viper whispered to Dark Kat with a smile. Dark Kat merely shot Viper a look of disgust. Marsha abruptly burst out crying. “Awww. You insulted her!” shouted the host. Viper snickered as he raised his hand. “What is it?” the host asked, obviously annoyed. Marsha wasn’t amused. Instead, she grabbed Viper by the neck. “Alright alright! I’ll be good!” Viper stated. Marsha obviously didn’t understand that much English. “Arrr! This is getting tiresome!” the Pastmaster shouted, as he took out his watch and zapped Marsha with it. She glowed with the crimson light of the miniature necromancer’s magic, and transformed into a gorilla in a bathing suit. The Pastmaster then took out a banana. “Here monkey monkey, go get banana! Yum!” the Pastmaster said as he threw it out the nearest door. “Can we get on with the show? !” the host shouted. “Don’t rush me!” the Pastmaster shouted back, raising his watch threateningly. The host showed no sign of flinching and instead pressed a button. The Pastmaster was stripped of everything save for his cape. “Gah! My watch!” the Pastmaster shouted, then noticed a slight breeze as he pulled the podium closer to himself. “Don’t worry, lack of pantssss never sssstopped me from being evil,” Viper proudly proclaimed. “Same here,” Dark Kat concurred. The crowed roared with excitement. A theme oddly similar to that of Jeopardy began to play as Dark Kat pressed his buzzer first. “I’m sorry, you must answer the question, not ask another one,” the host stated. “NOT another question!” shouted the host. The equation 10X10000000000 appeared before them. Dark Kat buzzed in first. “Wrong, any others?” the host asked. Dr. Viper buzzed in with a wicked smile. Dark Kat was obviously not amused. “Yeah, all fifty states,” Dr. Viper chuckled. “Shall we continue?” demanded the aggravated host. The contestants didn’t protest as the host began anew. Dark Kat and Dr. Viper both gave perplexed expressions as the Pastmaster fumed in anger. “That is correct!” shouted the host. “Here’s your prize!” the host continued. A pair of pink zebra pants soon descended from the ceiling and landed on the Pastmaster’s head. It wasn’t what he’d had in mind, but anything was better than the breeze the Pastmaster was experiencing. He threw on the zebra pants as fast as he could. “Very stylish,” Dark Kat commended. “A real trend sssssetter,” Viper agreed. “Shut up,” the Pastmaster replied. “We’ll be back after these messages,’ the host said to the camera, before running off stage to pop a couple of aspirin. T-Bone was nearly out of breath by the time he and Razor’d reached the hangar. Razor sat on T-Bone’s shoulders as the larger SWAT Kat labored up to the entrance, panting and perspiring. Razor yawned. Razor hopped down and slumped into the only available seat in the hangar. “Oh, like rapping wasn’t scary enough?” T-Bone demanded as he stripped off his mask and helmet. “I’m sure the big obvious door marked “Exit” wasn’t an option,” Razor remarked dryly. Razor reached behind his back and took aim at T-Bone’s face with a large bazooka. “What the! Wait, don’t-” T-Bone began, and Razor pulled the trigger. Expecting the worst the larger SWAT Kat closed his eyes, and when he opened them again the world seemed a bit different. “Ah, my vision corrector device works like a charm,” Razor said proudly. Running over to a mirror T-Bone shrieked in horror as he saw a pair of the absolute largest bifocals that he had ever seen stuck on his face. He scratched at them, trying desperately to claw them off. “Yes! The answer to 1 + 1 is 2!” Viper said, clearly exasperated. The Pastmaster sighed, trying hard to remember his mission. WHAT… WAS… HE… SUPPOSED… TO…. DO! All those lights, those cameras, those annoying talk show hosts…wait! That’s it! The Pastmaster cackled evilly as he remembered his ultimate goal. The audience got quiet rather quickly as an uncomfortable silence followed. “Uh, don’t got any,” Dark Kat admitted. The Pastmaster slapped his forehead in frustration. Dark Kat and Dr. Viper thought it over for a second then replied. With that, the Pastmaster cackled evilly once again. 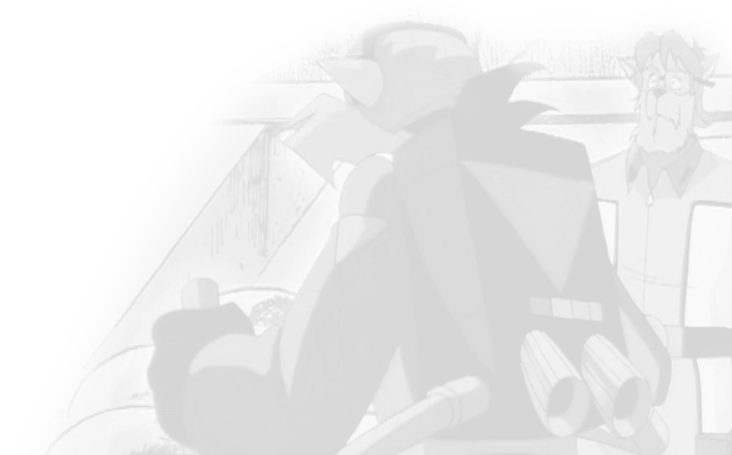 “You foolish mortals!” The Pastmaster proclaimed as he reached into his cape and withdrew a limited edition ‘Pastmaster’s Watch, With Sound Effects! '(c) from his cape. Still in the plastic packaging he struggled for a moment as he tried to open it. The watch came to life, opening a time vortex in the sky. However, the batteries soon died down, taking the vortex along with them. “Shoulda used Energisssssser,” Viper stated. “GRRRRR!” The Pastmaster growled as he began to foam at the mouth. Then, remembering something, he lunged at Dark Kat, taking the criminal mastermind’s remote and pressing the button. “Gah! ?” Dr. Viper shouted rather abruptly. “My 3 hairs!” the mad scientist shouted, his limited amount of head hair ablaze. He ran wildly in circles, trying to put it out. “I was going to hold Viper’s hair hostage,” Dark Kat explained. Viper continued to run in circles and scream in the background as Dark Kat spoke. “Are you questioning my level of evilness?” Dark Kat asked. “Yes, I am!” Pastmaster shot back. “My hair!” Viper shouted as he dove into the nearest restroom and plunged his head into a toilet, causing the flames to go out. “Ah….,” Viper sighed in relief. “Only if you sit on me,” the Pastmaster muttered under his breath. “What was that?! Fine!” At that, Dark Kat tore off his garments, revealing boxer shorts. With that, he took the stance of a sumo wrestler. The Pastmaster blinked as he loooooooooked up at the opponent that stood before him. Before he even had a chance to prepare, Dark Kat charged at him with more force than a freight train, smashing him into the wall, then through the wall, then into another wall, and through that wall winding up outside. As he slowly regained consciousness a few moments later, the Pastmaster dug himself out of a small pile of media debris and clambered to his feet. The Pastmaster growled in rage, and, using god-like strength, he rushed up at Dark Kat and pressed him above his head! In one swift motion, the Pastmaster spun the large megalomaniac in circles above his head and threw him into a nearby building, causing it to collapse. Struggling out of the debris, Dark Kat shot back up to his feet and gazed in shock at the midget creature before him. The Pastmaster seemed to glow with a golden aura as he stood before Dark Kat, panting and perspiring in rage. His normally white hair had transformed to a brightly shining, spiky and long yellow/goldish style. Realization dawned, and Dark Kat began to get nervous. “Oh no!” Dark Kat shouted in pure horror. The Pastmaster then clenched his fists as he screamed a deep throaty scream. The air around him surged and his golden aura seemed to expand. After multiple hours of sawing, cutting, clawing, scratching, laser torching, and even face planting T-Bone could not get the ominous optical “specs” off his face. His patience was coming to an end. Abruptly, the two were interrupted as the Klaxon began to blare. T-Bone slowly pulled himself up off of the ground as he picked up the receiver. “As a matter of fact it did. I must’ve fallen down the stairs or something because I-” Callie began, but was cut off as T-Bone hung up the receiver. “Ooooookay, well, maybe I wasn’t dreaming after all,” T-Bone said. “I TOLD you we shoulda been more cautious,” Razor muttered. “Hush, Razor. We got more important things to worry about now. Like transportation…,” T-Bone pondered aloud. “Can’t you do something about it?” T-Bone asked. Razor scratched his chin in thought, and then a light bulb visibly turned on above his head. “I got it!” Razor nearly shouted as he reached into that magical place behind his back and withdrew what looked like a deflated life raft. Razor pulled the rip cord as the bundle expanded and inflated itself into a full-sized working replica of the SWAT Kats famed jet. Hopping into the WSO seat Razor brought the systems online. “Yeah…Hey! They’re cuttin’ us out of the loop! Oh, that makes me mad,” T-Bone growled. But, as he was about to take off, he realized what he was about to say to Razor before being interrupted. “Improvise,” Razor said plainly. T-Bone sighed as he looked around, then got an idea. “I said *improvise*,” Razor returned. “Whatever,” T-Bone replied as he reached back and poked a hole in the back of the jet. The result was instantaneous as the two were sent rocketing forward out of the hangar and into the sky, heading towards the battle of the Pastmaster and Dark Kat. “Yes, see it all in the next part of ISP. The tyrannical terror of terrifying tyranny, Dark Kat, fights the supah feline necromancer of post-neo-vertically-challenged-ness, the Pastmaster! See it SUNDAY SUNDAY SUNDAY on Pay-per view!” the narrator’s voice abruptly cut in. A collection of little vignettes about Feral’s off duty time.